Neurological diseases are often complicated and manifests differently in each client. Current physical therapy and exercise programs focus simply on stretching and basic strengthen exercises. The Koppele Method combines the best of Pilates, release techniques, neuroplasticity, and functional training to offer clients with neurological disorders the benefits that other exercise techniques fall short on. Each session will focus on common problematic muscle groups and symptoms including but not limited to balance difficulties, weakness, and gait abnormalities. 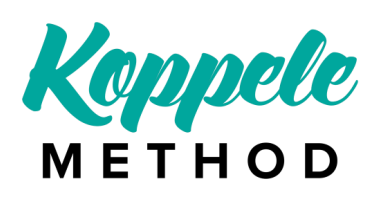 Whether your goal is to walk 1 block or to walk 10 miles the Koppele Method can help you. The Koppele Method is different because it uses a 4 -point programming formula. Each session begins with myofascial and muscular releases to increase proprioception, ultimately, empowering the client to regain some control over their bodies and to alleviate aches and pains. The second step is to challenge the brain's neuroplasticity by learning new movement patterns and creating new neuromuscular pathways. This is then followed with fun and often intense exercises to challenge the new pathways that were developed. Finally we will teach you functional exercises to not just improve your strength, but to also give you functional improvements in your gait and balance. Sign up here for your first session.